What To Do If You Are In An Auto Accident. What To Do After You Are Involved in a Truck Accident. What You Should Know About Social Security and Medicare. What You Should Know About Testifying at a Trial or Deposition. We have answered some of your most frequent questions here in our Resource Center. If you have an inquiry that is not addressed, schedule a conference with one of our experienced lawyers. We will contact you directly and update the postings to our Resource Center as necessary. What should I do if I am involved in an auto accident? How do I prepare for a deposition? How should I act while giving my testimony? The law allows a person to sue for money damages including medical bills, lost wages, pain and suffering, loss of ordinary pleasures of life and disfigurement. To succeed in court, the injured party must prove that the wrongdoer was negligent or at fault. Schedule a free consultation with Attorney Neil O’Donnell to find out whether your case might be successful. The law allows victims of personal injury a specific amount of time from the occurrence of the incident to file a claim. In the state of Pennsylvania, this can range from six months to two years depending on the type of injury, however, exceptions may apply. Also, in instances where the injury is not immediately discovered, additional time may be allowed for filing the claim. If you do not file within an appropriate timeframe, the defendant in your case can have your claim permanently dismissed causing you to forfeit the chance of collecting a settlement. It is important to discuss the specifics of your case with an attorney experienced in personal injury law as soon as you are able so as to not inadvertently jeopardize your rights. Request a free consultation with Attorney Neil O’Donnell. There is no fee or cost until we win your case. Settlements for personal injury cases may include payments for two types of damage awards. Compensatory damages, known as actual damages, cover all expenses associated with the injury, including medical bills, physical disability, mental impairment, permanent disability, loss of wages, pain and suffering, and the repair or replacement of property. Punitive damages, called exemplary damages, may also be awarded. These payments serve as punishment for an offender if it is determined the defendant behaved maliciously and also acts as a deterrent for others. Awards are determined on a case-by-case basis. If your case goes to trial and the defendant is found liable, the jury will decide the amount. However, if the judge overseeing the case feels that the determined amount is inadequate or excessive, he or she has the final say and may order a reduction or an increase without a new trial or appeal. In many cases, personal injury lawsuits are settled out of court. It is critical to choose an attorney with experience in personal injury law to help you obtain the full amount you are legally entitled. Request a free consultation with Attorney Neil O’Donnell. There is no fee or cost until we win your case. Although many attorneys are qualified to handle personal injury cases, not all of them have the necessary experience to effectively represent your case. In many personal injury cases, the defendant is represented by an insurance company working to pay the least amount possible. An inexperienced lawyer lacking the necessary skills to negotiate with insurance companies may be at a disadvantage when the defendants lawyer begins to negotiate for the lowest price. An experienced attorney can help personal injury victims obtain the full amount of compensation they are entitled to for losses related to the injury. As defendants typically want to avoid expensive trials, negative publicity, and the chance that a jury may award the plaintiff more money, many personal injury claims are settled without going to court. However, if your personal injury lawyer has never won a case in court, the defendant may assume their best chance is to go to trial, so you could end up in time-consuming litigation. An experienced trial lawyer will always obtain the most favorable settlement for your case, whether you go to court or not. Request a free consultation with experienced trial lawyer Neil O’Donnell. There is no fee or cost until we win your case. The lawyer should be able to assess the merits of your case, approximate its monetary value, and determine the best strategy to pursue it. You should discuss the terms of his or her contract with you, and review any contingency fees that you will be held responsible for once a settlement is paid. Going forward, you should expect your lawyer to communicate with you directly, return your phone calls, and keep you updated on the progress of your case. If at any time you are not satisfied with the service your personal injury lawyer is providing, you can replace him or her at your own discretion. There is no fee or cost until we win your case. What information should I bring to my first consult? Preparation for your initial consult should include gathering all the information you have relating to your injury. The personal injury lawyer you are considering will want to know as much as possible in order to assess the merits of your case and provide you with good counsel. Bring all insurance information, any police reports that may exist, all hospital paperwork, including emergency room visits if applicable, and any other medical reports, including a list of medications. When do I have to start paying lawyers fees? 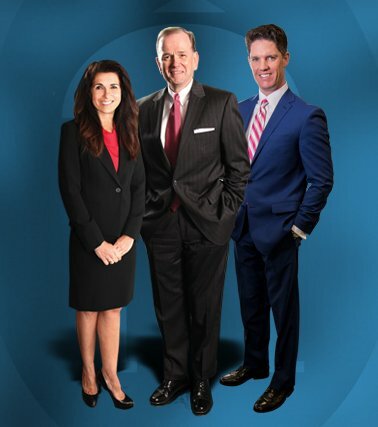 In the plaintiff personal injury cases, workers compensation, wrongful death, and premises liability cases handled by O’Donnell Law Offices, the client pays no fees until there has been recovery, whether by a jury verdict or settlement. Our initial consultation is free, and there are no costs until we win your case. Do not admit fault or make any oral or written statements as to responsibility or blame. Do not tell other people involved in the accident how much liability insurance you carry or accept offers to settle on the spot. It is important to contact a lawyer as soon as possible to discuss the details of your auto accident. Be prepared to provide as much information as possible from the scene of the accident. To the best of your recollection, note the damage to all the vehicles involved in the accident as well as weather and road conditions, date and time of the accident, speed of the cars involved, and even draw a diagram or bring pictures of the accident if they are available. It’s a good idea, if you have them, to bring the names and addresses of any people who may have witnessed the accident. You should get a copy of the police report and bring all medical records related to the injuries sustained. Immediate family members – including parents, spouses, and children, are almost always eligible to file a claim, although minors may need an adult guardian to take a wrongful death lawsuit to court. Additionally, other family members – such as stepparents, grandparents, and dependents, may also be permitted to file suit. If you believe you have a valid wrongful death claim, you should first consult with an experienced wrongful death attorney. The attorney can help you gather evidence, understand the law, complete necessary paperwork, and build a convincing lawsuit. Hiring an attorney can also help alleviate some of the stress you may be experiencing. You should immediately notify your employer and be sure a written report of your accident has been filed. If your employer has a group of doctors you must see, do so as soon as possible and report all of your injuries to that doctor. If you cannot return to the job you had at the time of the injury, and you are not receiving pay from your employer, you may be entitled to Workers Compensation. There are four legal means for establishing liability lawsuits involving defective or dangerous products. These include negligence, breach of warranty, misrepresentation, and strict liability. Any person or entity that does not provide reasonable care when it has the legal responsibility to do so can be found guilty of negligence. This includes inaction as well as careless and malicious action. Breach of warranty takes place when a seller fails to uphold a claim or promise about a product. The law expects companies to stand by their assertions and fulfill any obligations made to customers. Misrepresentation refers to advertising claims that lead consumers to believe that a product is safer than it really is or that distract them from potential risks inherent in the use of a product. In many product liability cases, strict liability makes the manufacturer or seller of a defective product responsible for all relevant injuries sustained. If the victim can show that the product was defective, that the defect was the cause of the personal injury, and that it rendered the product excessively hazardous, then strict liability holds the manufacturer or seller responsible, regardless of fault or intent. Social Security Disability is a program of the Social Security Administration that pays monthly cash benefits to disabled persons who can’t work because of an injury, illness, or worsening medical condition. In order to qualify for Social Security Disability, you must be unable to sustain any substantial gainful employment. If this applies to you, it is important in an application for these benefits that you provide evidence and/or medical records as to why you are unable to work as a result of your disability. If you qualify, Social Security Disability (SSD) pays benefits based on your earnings over the past 10 years, while Supplemental Security Income (SSI) pays benefits to disabled people who don’t have enough earnings to be insured for SSD. Request a free consultation to review your case with Attorney Catherine O’Donnell. There is no fee or cost until we win your case. The opposing attorney will generally begin the deposition by asking you questions concerning your personal history. You should be prepared to tell the truth, including your previous jobs and where you have lived in the past ten (10) years. You may be asked about any training you have received and the extent of your education. You should also be prepared to discuss your job duties and responsibilities. Refresh your recollection by re-reading any notes that you made after the accident, such as diaries, statements you have given, reports you have prepared, hospital records, doctor records or anything of that nature. If you have any additional records that you have not yet given to your lawyer, do so immediately. If it is practical, visit the scene of the accident and refresh your recollection concerning visibility, obstructions, distances, speeds, and the like. You should not memorize any statement you have given or anything that you are going to say in answer to questions. You should simply visualize what happened and answer any questions in your own words as truthfully and as accurately as you can. It is important to stick to the actual facts, as much as possible, rather than opinions as to time, distances, speeds and the like. If it is necessary for you to give an opinion on such an item, be careful to state that it is your own best estimate. The opposing attorney may ask you whether you will provide additional records, documents or information. If this kind of question is asked, you may simply state that you will follow your lawyer’s recommendation. Never lose your temper or be combative. Don’t be afraid of the lawyers. If you don’t understand the question, ask that it be explained, and if you didn’t fully hear the entire question ask that it be repeated. Answer all questions directly, giving concise answers to the questions. Stick to the facts and testify only to that which you personally know. Do not magnify your injuries or losses. Be conservative with respect to a description of your injuries. Adopt an unexaggerated attitude toward your injuries. Testify only to “basic facts” and do not attempt to give opinions or estimates of time and distance unless you have good reason for knowing such matters. If you don’t know, admit it. If you do not remember, admit that as well. The difference between not knowing and not remembering is that not knowing suggest that you don’t know now and never did know the answer to the question; whereas not remembering suggests that at one time you did know, but given the passage of time, you just don’t remember. Some witnesses think they should have an answer for every question asked. You cannot know all the facts and you do yourself a disservice if you attempt to testify to facts with which you are not acquainted. It is IMPERATIVE that you be HONEST and STRAIGHTFORWARD in your testimony. Don’t try to memorize your story. The law requires only that a witness tell his story to the best of his ability. Your attorney will protect you against unwarranted harassment. Let your attorney know if you feel ill or overly tired during the course of the deposition. We can arrange for a short break or, if necessary, adjourn the deposition until another day. Do not speak with any of the opposing attorneys about this lawsuit either before or after the deposition. If you are asked a questions when your attorney is not present, politely respond by telling the questioner that he or she should speak to your lawyer. Your deposition may take a few hours, so it is important that you are well rested and alert. Everyone regardless of age or income level should have a Will in order to be sure their assets are given to whom they want to have them after they are gone. If you have children under age 18, you should name your guardians to raise your children if you are no longer here. Proper Estate Planning should also minimize tax and estate expenses. Schedule an appointment with Catherine O’Donnell to discuss your estate planning.